Two anti-abortion activists who secretly filmed themselves trying to buy fetal tissue from Planned Parenthood were charged Tuesday with 15 felonies by California prosecutors who say that their videos invaded the privacy of medical professionals by filming without their consent. The Associated Press reports that the allegations against David Daleiden and Sandra Merritt, who run the Irvine, CA-based Center for Medical Progress claimed that the pair “filmed 14 people without permission between October 2013 and July 2015 in Los Angeles, San Francisco and El Dorado counties.” One felony count was filed per person and with an additional count for criminal conspiracy to invade privacy. 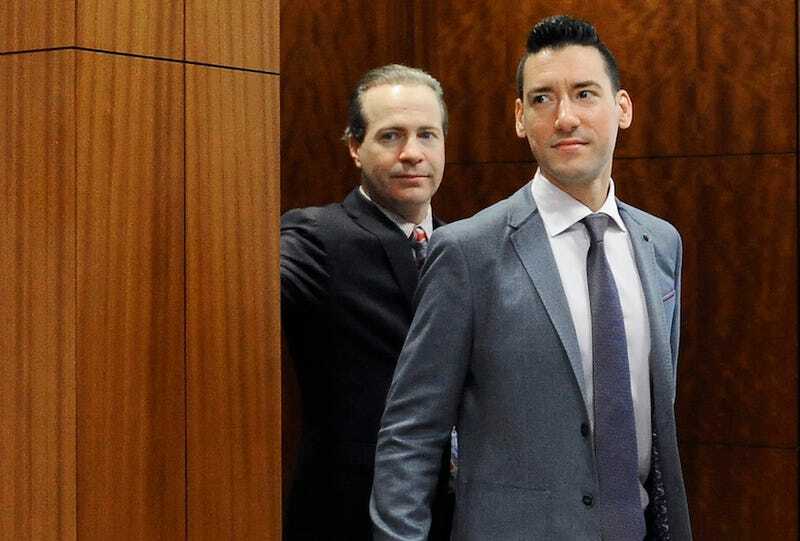 State Attorney General Xavier Becerra brought the charges against Daleiden and Merritt; he said they used a fake bioresearch company in order to gain access to Planned Parenthood and secretly record them. The videos in question led to an uptick in threats, harassment and intimidation at Planned Parenthood facilities across the country. In January 2016, Daleiden and Meritt were indicted by a Texas grand jury for tampering with a public record —charges that were later dismissed by a Texas judge in July, saying that the grand jury had “overstepped its authority.” In April of last year, Daleiden’s home was raided by California authorities, who seized laptops and hard drives. Update (March 29, 12:28 a.m.):Here’s Planned Parenthood’s statement from PPFA’s interim Vice President of Communications Mary Alice Carter. “When it comes to felony charges against our client, David Daleiden, history is on our side. When David Daleiden and Sandra Merritt were falsely charged in Texas, after they mounted a vigorous defense, the charges were abruptly dropped. We expect that the same will prove true in California. “The world knows that Planned Parenthood’s business partners, DaVinci Biosciences and DV Biologics, have been sued by Orange County, California. The lawsuit alleges that they illegally profited from the sale of human baby body parts from abortions. This confirms the truth of what has been depicted in Daleiden’s videos.